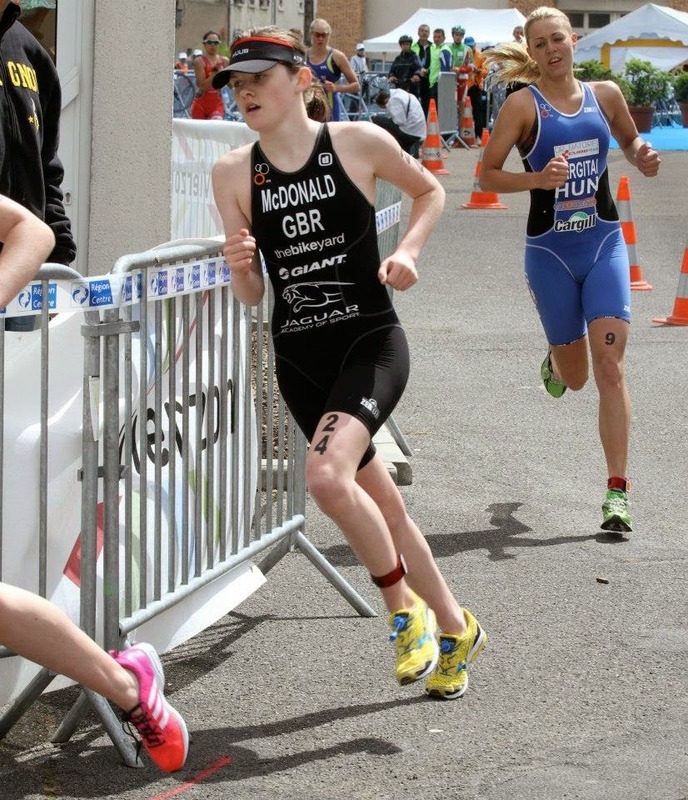 Megan McDonald Triathlete: First triathlon of the 2014 Season – European Cup Verizon. 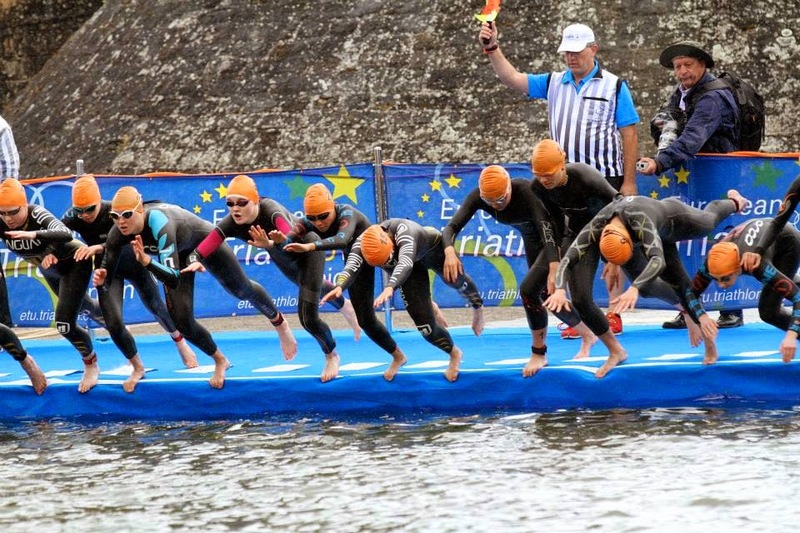 First triathlon of the 2014 Season – European Cup Verizon. After a long hard winter getting over my shin splints, it was time to be positive that the rest had healed them and to look forward to my first race of the season. My first race which happened on the 12th May was the ETU Verizon triathlon cup. I competed in the same race last year and loved the course but the result didn't go to plan so I was hoping for a good clean race this year. I, two other West Midland athletes and my triathlon coach travelled down Friday by car. I thought travelling by car would have given me some valuable time to revise but as you know long journeys make brilliant nap times. We arrived Friday evening which gave us time to book into the hotel and eat at a really lovely restaurant we found last year. Saturday we planned to register and take a look at the course whilst the sun was out. We walked around the run course which is probably the most technical run I have ever raced, containing cobbled paths, steep hill and lots of tight turns. 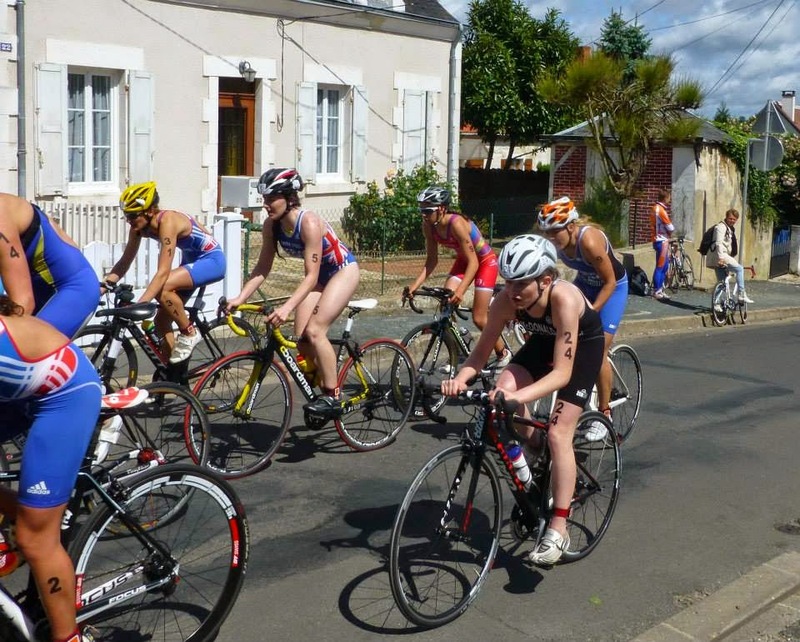 The bike and swim course are less exciting with the bike course only having one hill and the swim a straight line. The race briefing was the usual rules of the race, times etc but good news the weather was going to be sunny they said "sunny". Pre-race evening meal we went out for pizza with some other athletes from GB and our conversation soon turned to exams and universities, something to look forward to or not. Race day and to my surprise there was no sun just wind and clouds, just don’t know how they get the weather wrong! Heading down to the race I had the normal nerves but I was more excited to be back racing and injury free then anything. I checked in having my photo took and a couple of attempts having the numbers tattooed because somebody doesn't know their left from their right, it was nerves! Time to warm up and put the wetsuits on but guess what the sun has been replaced with rain and strong winds, not an enjoyable task but Leah managed to keep me smiling as she nearly lost her cloths in the river. On the start line I positioned myself smack bang in the middle of the pontoon ready for the swim. In my opinion it didn't really matter where people positioned themselves as it is a straight line swim. The hooter sounded and I managed a good start I did around 20 strokes before looking where I was going and realized I was in clear water at the front of the middle pack. I decided to go to my left and draft off 3 swimmers. I did get passed by some other competitors and exited the water in 7th place and with a good transition I was in the front pack on the bike. The bike course was a little technical due to the wet and windy weather conditions; my aim was to stay upright and be careful round the corners and to be at the front or at the back so I won't get caught in a crash. I tried a few times to break away but it wasn't happening with a strong French girl straight on my wheel each time. The corners were dangerous in the wet and a few bumps on the road soon caused a crash round one of the corners, luckily I was at the front so didn't see it. Transition soon came I tried to get to the front but when I started taking my shoes of they all came past so entering t2 I was close to the back of the lead pack of 10 girls but with a quick transition I came out in 8th. As I raced last year I knew what to expect on the run so I decided to go out at a good pace as last time I went out to hard and died on the seconded lap. I had the company of a Spanish girl for most of the way round and we managed to catch 2 girls on the second lap. I tried to push hard on the down hill to get away from the girls but they were to strong on the flat and caught me again. I finished in 7th place which I was happy with and most important no shin pain. I would like to say thanks to Steve Lloyd for taking the time out to take me, the support from TheBike Yard with my cycle training and bike and finally huub design for there great wetsuit that helped me have a great swim.